Kids Pass is offering a FREE 3 month membership to their incredible kids pass. All you need to do is pay £1 P&P for the card. Membership is usually £22.50 for 3 months, so this offer is incredible value for money. They gives you access 1,000s of family related deals. 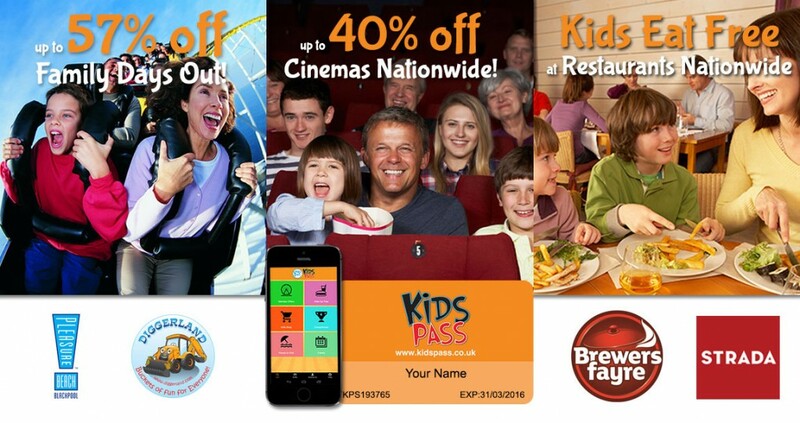 With the Easter holidays fast approaching, Kids Pass takes the hassle out of entertaining the family by providing great savings on days out, 40% off cinema trips and kids eat free deals at 1,000s of restaurants. Just redeem the offers online or via the App. For 90 days, you can access all these offers and more for just £1! Find out more by clicking “GET FREEBIE” and entering your details on the following page. Hurry – this offer won’t be round for long!